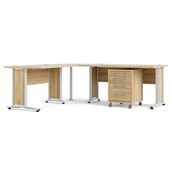 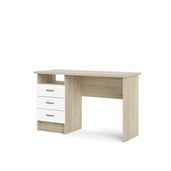 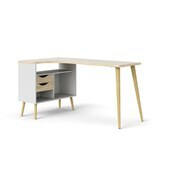 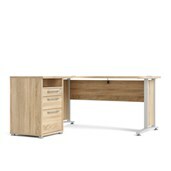 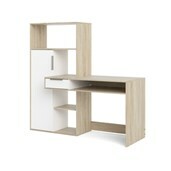 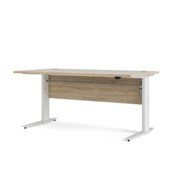 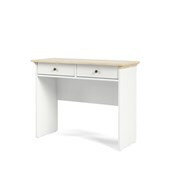 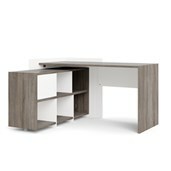 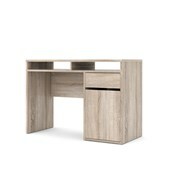 In need of a functional yet stylish desk for your home office? 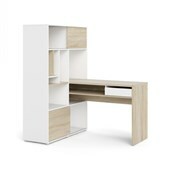 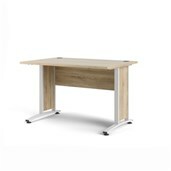 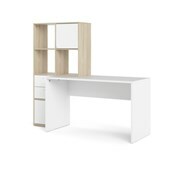 The Function Plus Desk with 6 Shelf Bookcase by Tvilum provides not only a work station and ample storage space, but also the possibility of customizing the layout of the desk to meet your needs. 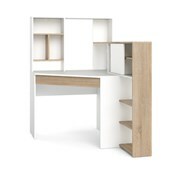 Finished on all four sides, the Function Plus Desk with 6 Shelf Bookcase can be floated in the center of a room. 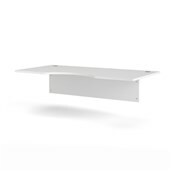 Or, use the 6 Shelf Bookcase as a stand-alone item along the wall. 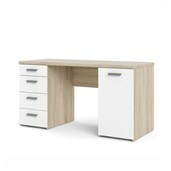 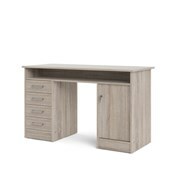 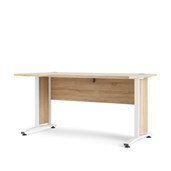 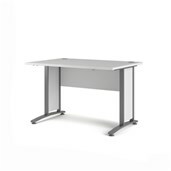 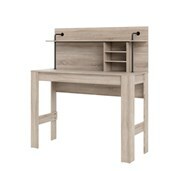 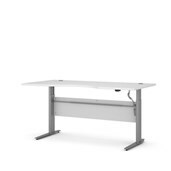 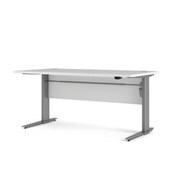 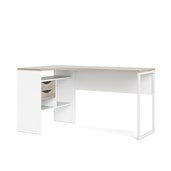 Featuring a modesty panel for your discretion and high edges to ensure nothing falls off the side, the Function Plus Desk with 6 Shelf Bookcase offers a multi-functional work station. 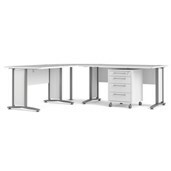 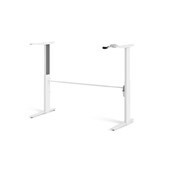 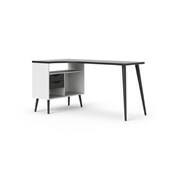 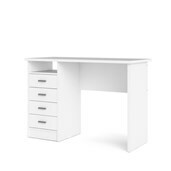 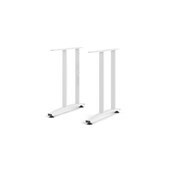 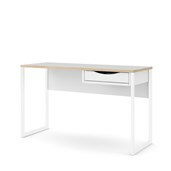 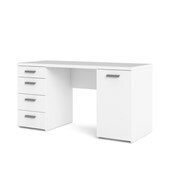 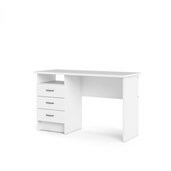 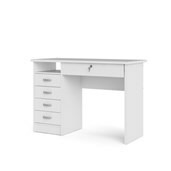 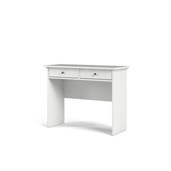 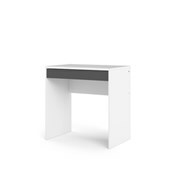 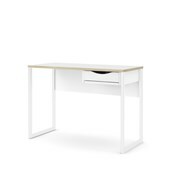 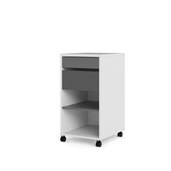 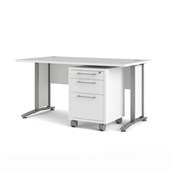 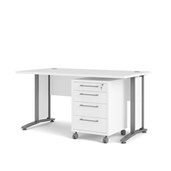 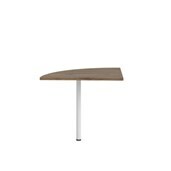 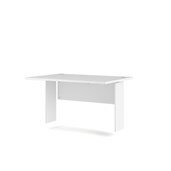 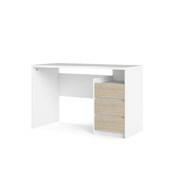 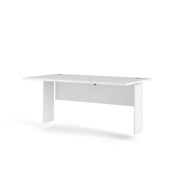 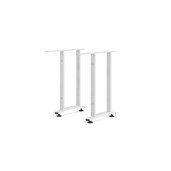 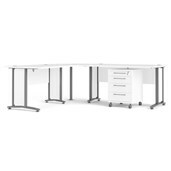 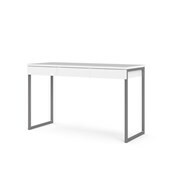 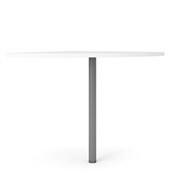 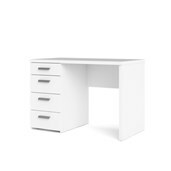 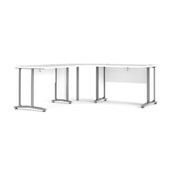 The truffle and white two-tone color combination is made from a fade resistant, easy to clean foil surface, ensuring a long partnership with the Function Plus Desk with 6 Shelf Bookcase.